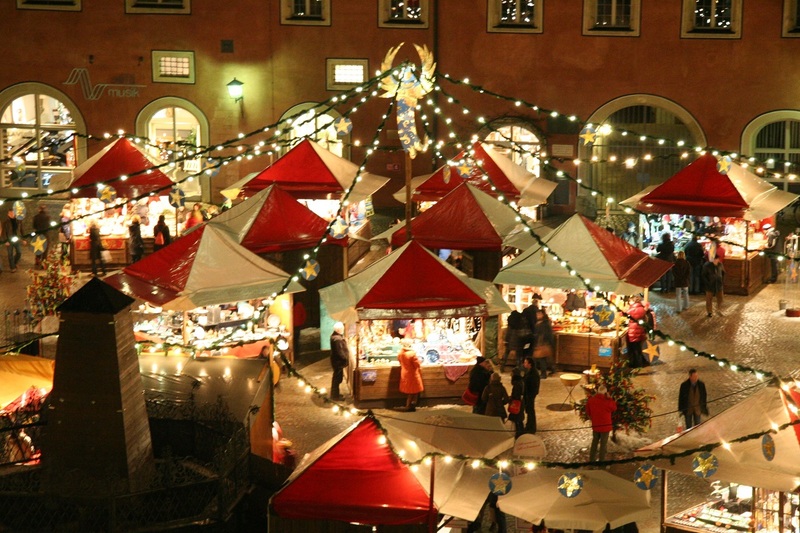 Christmas markets are annually held in many European cities. Some of the Christmas markets have hundreds of years history. The following list is designed to make your life of a travel planner easier. With our Christmas markets tips you will safe time and energy selecting the best European Christmas market destinations. Naturally many cities are not easily accessed from Prague and the listed Christmas market destinations are available for day trips from Prague. Nuremberg is located less than three hours / about 300 Km away from Prague. Christkindlesmarkt Christmas Market in Nuremberg has over 400 years history. 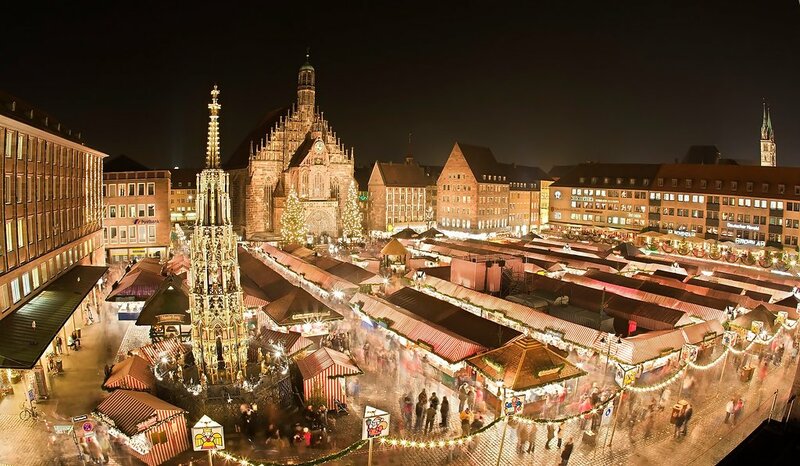 The Christmas markets in Nuremberg are open from December 1st to December 24th. Dresden is located in Saxony, Germany, about 1.5 hours away from Prague. The distance of about 160 km is quickly covered thanks to the relatively fast driving on the Czech highways and no speed limit German Autobahn. The Striezelmarkt is Germany’s oldest Christmas market and celebrates its 583st anniversary in 2017. How to get to Dresden? Enjoy the day trip to Dresden from Prague or from Berlin, book a private transfer for up to 8 persons. The taxi will wait for you in Dresden and after you finished shopping, we will drive you back to the hotel in Prague or Berlin. Regensburg is situated about 250 Km west fro Prague, only about 2.5 hours drive by a comfortable private car or a minivan. There are several Christmas markets in Regensburg. 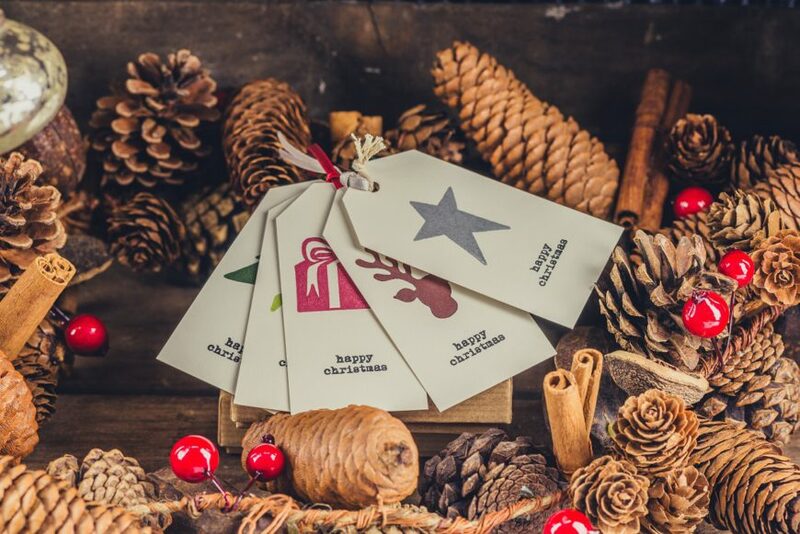 Most of the markets start on the 1st December, but some are available from 27th November. The markets are available daily. Below you can find the most popular ones and the opening hours. One should not miss the opportunity to taste mulled wine, grilled sausages, candied almonds or the famous Regensburg ginger bread. How to get to Regensburg Christmas markets from Prague? Our taxis are available for one trips as well as day trips from Prague. For fixed price we will drive you in a comfortable car or a minivan for up to 8 passengers, wait for you during your shopping at the Regensburg Christmas markets and then drive you back to Prague hotel, apartment or a private address. Find more information about the taxi from Prague to Regensburg Christmas markets.